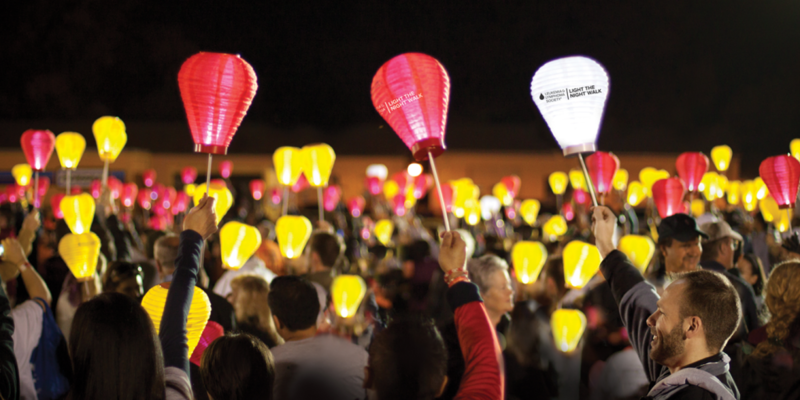 The Leukemia & Lymphoma Society’s Light The Night Walk is Saturday night, and Metro is just a short walk from its location in Forest Park this year. The Light The Night Walk will take place at the Cricket Field in Forest Park, located at Cricket Drive and Grand Drive. Registration begins at 5 p.m., and the race starts at 7:30 p.m. If you’re riding MetroLink, exit at the Forest Park-DeBaliviere Transit Center and walk toward the Missouri History Museum. Pass the museum and head east on Grand Drive, pass the Visitor Center and you’re there. Park at any one of 21 free Metro Park-Ride lots in Missouri and Illinois and purchase round-trip tickets to ride MetroLink to the Forest Park-DeBaliviere Transit Center. You can also ride the #1 Gold or #90 Hampton MetroBus routes to reach the Forest Park-DeBaliviere Transit Center. To plan your trip to Light The Night, download the Metro On The Go app, use the online TripPlanner, or contact Metro Transit Information by calling 314-231-2345 or 618-271-2345 or texting 314-207-9786, Monday through Friday from 7 a.m. to 6 p.m.